Eugene Graber, 93, of Freeman, S.D., passed away on April 9 at Oakview Terrace in Freeman. A funeral service will be held Saturday, April 13 at 10:30 a.m. at the Salem Mennonite Church of rural Freeman. Visitation will be from 9 to 10 a.m. Saturday at the church prior to the service. Eugene is survived by daughters Diana (Joel) Ziolkowski of Custer and Teresa Graber of Sante Fe, N.M.; son Stan (Stacey) Graber of Sioux Falls; eight grandchildren; one brother, LaVerne (Janice) Graber; and sister-in-law Gertrude Graber, both of Freeman. Eugene Dale Graber – our precious Dad, grandfather and great-grandfather. Eugene was born to Joseph C. and Alvina Graber on March 8th, 1926, in rural Freeman, SD. As a child, Eugene attended Diamond Valley School, the country school, where his parents also attended. Eugene was second in birth order of four children: older brother, Clarence, younger sister, Esther, and younger brother, LaVerne. Living with his family on a farm, Eugene learned the value of hard work, and had an amazing work ethic. As a teen, Eugene attended Freeman Academy, played basketball, and later attended Freeman Jr College. It was there that he met Beverly Nelsen, and they married in 1951. Together they had three children, Teresa, Diana and Stan. They owned a large Brown Swiss herd and dairy operation, as well as crop farming. Family vacations consisted of annual trips to Big Stone Lake, where Eugene loved fishing with friends and family, and many happy memories were made. In 1978, Eugene married Marilyn Jensen of Chester, SD, and together they farmed nearly 20 years. She brought five daughters to the family, that Eugene was there and carried for over the years. They retired from farming in 1996, yet remained on the farm until 2012, when they moved into the Salem Mennonite Home in Freeman, SD. Later they moved to Howard, then the Tieszen Home in Marion, SD, where Marilyn passed away in Oct. 2018, with Eugene by her side. In January 2019, Eugene was able to return to his beloved home of Freeman, the Salem Home and to be near the Graber family farm. 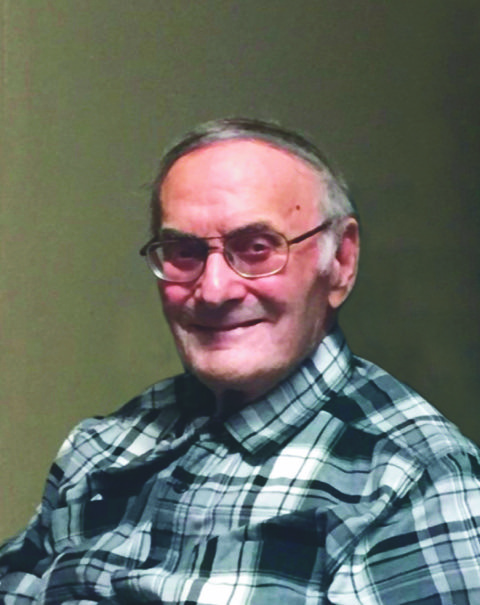 He lived those final days to the fullest in the company of family, making frequent trips to the farm, to friend’s visits, his lifetime hobbies and time with staff at the Home. He always loved sharing a good piece of pie ice cream too! Throughout his adult life, Eugene loved time with his children, his grand and great grandchildren, and his brothers and their families. He enjoyed watching the kids/grand kids play sports, from baseball, to track to volleyball, and always loved a good game of pool - yes, he usually won. He loved the outdoors and spending time with his dogs, cats and farm animals, and better yet, the shared time with family. Eugene’s passion for the St. Louis Cardinals lasted a lifetime, from listening to AM radio games with his brothers as a child, to attending games to amassing a sizable memorabilia collection to last week watching via TV. He was so excited for the 2019 season, they lost a faithful fan. And not to be forgotten, tracing back to farming days, Eugene had amassed an M&M tractor collection matched by few. last time, when asked how he was, he often responded, “I’m pretty good,” with a hopeful tone in his voice. Eugene had a quiet inner strength about him. Eugene will be remembered as a wonderful father, husband, brother, grandfather, uncle, cousin and friend. In Lieu of flowers, donations can be made to: Salem Mennonite Church, MCC or Freeman Academy.